This weekend in St Ives - on Saturday 29th June - there will be a sandcastle building competition - plus lots more - as part of St Ives Loves Architecture on Porthminster Beach. Kids and Young People (16 and under). Architects Build (professionals from around Cornwall). Open (businesses and all other teams). St Ives Mayor Colin Nicholls will present the prizes at 4.00 pm. If Buildings Could Talk - Storytelling. Make and Fly a Mini-Kite. Beautiful Buildings - Model Making with Tate St Ives. 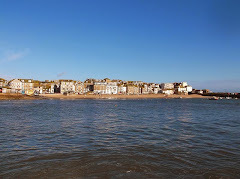 Planning For Real - Neighbourhood Plan - St Ives Town Council. The event is being organised and hosted by St Ives Architects Poynton Bradbury Wynter Cole. 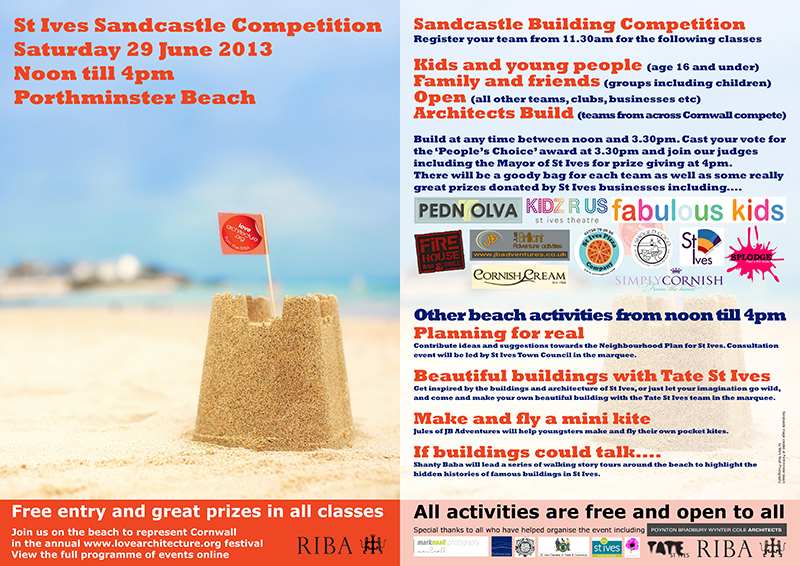 All activities are free and open to all - so get down to the beach for a fun afternoon!